Austin. TX –December 15, 2015 – In response to the growing demand for craft cocktails and popularity of their brand, Austin Cocktails – a family-owned company, – is pleased to announce the expansion of their line and launch of two new small-batch, bottled cocktails. The offerings, Fred’s Ruby Red Cocktail and Bergamot Orange Margarita, will launch with a newly updated label in Texas, California, Colorado, and New York/Tri-State Market in Q4 2015. Through its meticulous curation and development processes, Austin Cocktails has become known as an innovator at the vanguard of introducing premiumization to the prepared cocktail category. “Leveraging our beverage development experience and long-lived family cocktail tradition, we saw an opportunity to develop drinks that tempt the palate with complex ingredients rather than heavy sugars and neon colors. We also saw fine wine and craft beer on tap and thought we could bring that combination of convenience and craft to premium cocktails,” says Co-founder, Jill Burns. While in their infancy, pre-batched, craft cocktails have disrupted a stalled alcohol category and appeal to a new universe of consumers that historically never would have considered ready to drink offerings. The drinks have been served everywhere from celebrity events and galas at 5-star hotels to smaller and more intimate upscale parties as signature cocktail offerings. For the individual, Austin Cocktails eliminates the hassle of knowing a good cocktail recipe, having natural, perishable ingredients on hand, mixing everything together and then repeating. Family Co-founders, Jill Burns and Kelly Gasink, entered the marketplace in 2014 creating award-winning cocktails that are as convenient as a nice glass of wine or craft beer. Both with extensive beverage development and company building experience, Burns and Gasink not only knew where big companies cut corners in drink making, but also that infrastructure was changing such that small batch brands could gain access to some of the finest natural ingredient suppliers in the world., Burns and Gasink felt the category was ripe for innovation and premiumization. As a convenient luxury brand, Austin Cocktails has seen success with partnerships including Virgin America, various hotels, conference centers, and arenas including the Pepsi Center in Denver and University of Texas. 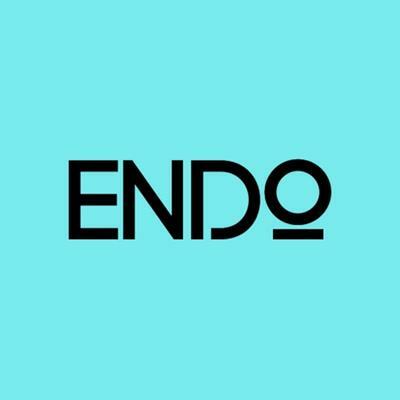 More partnerships will be finalized and announced in 2016. Additionally, Austin Cocktails has attracted an organic A-list celebrity interest. The brand’s decision to launch two new flavors is an exciting and logical next step for the company. We built Austin Cocktails around top-tier quality, family-owned heritage, and authentic character. We are looking to build a world-renowned staple for global alcohol consumers.” says Co-founders, Jill Burns and Kelly Gasink. Austin Cocktails other drinks include: Cucumber Vodka Mojito, Paradise Found and Tea Twister. 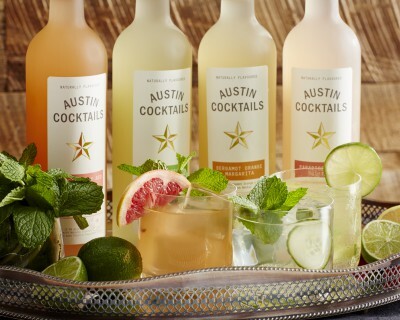 Austin Cocktails has seen tremendous response from consumers with their initial line of drinks and is proud to release their newest creations. Austin Cocktails Fred’s Ruby Red Cocktail is an ode to the co-founder’s beloved grandfather, Fred, who established the inviolable family tradition of stopping everything on summer evenings for family cocktail time. Fred’s Ruby Red Cocktail, made with 5x-distilled vodka, and natural Ruby Red grapefruit, bright lime and crisp mint, is a perfect tip of the hat to Fred’s lively, wise soul. When developing the Bergamot Orange Margarita, Burns and Gasink started from a reference point for how a top shelf margarita should taste. After over three years of vetting both esoteric and accessible flavor directions, they decided to test the elasticity of the traditional Margarita expression using bergamot orange as the lead tasting note. Bergamot orange is a winter-grown, Italian orange that is more sour than sweet. This complex, bittersweet orange manages to preserve the deep taste of the blanco tequila, while softening its most pucker-inducing layer and leaving a hint of pepper on the back of the tongue. To keep the texture and body from being weighed down by sweetness, they crafted their own natural triple sec with dramatically less sugar. The combination of natural bergamot orange, clean triple sec, exotic, natural lime and golden, organic agave offers the consumer far more complexity and character than any other margarita on the market. -Pre-batching cocktails has become an increasing trend in New York restaurants and bars, with ready to drink beverage sales up 70% since 2009. -Beth Bloom, a food and drink analyst for Mintel, a global supplier of consumer, product and media intelligence, has found that a third of ready-to-drink beverage consumers buy them because they are more convenient than making cocktails. A quarter of consumers indicate that it is because they never have the full list of ingredients required to make a cocktail. Austin Cocktails is a line of bottled, craft cocktails made with super premium spirits and fine, natural ingredients sourced from around the globe. Signed by the largest two distributors in the country, Austin Cocktails is at the vanguard of innovation in making a craft cocktail as convenient as a glass of premium wine or craft beer. Family owners Jill Peterson Burns and Kelly Gasink come to Austin Cocktails with previous beverage experience, business acumen and highly successful entrepreneurial backgrounds including the creation of four start-up businesses between them, five including Austin Cocktails. Their individual strategic and creative skill sets, combined with their previous professional experiences, complement one another and will continue to serve as a catalyst for the ongoing development and growth of Austin Cocktails.